I haven't got anything against November particularly and though it has gone quite quickly it still seemed to drag whilst it was happening? I don't like how this is when it got considerably darker, tricking my body clock into thinking I should be crawling into bed rather than in lectures and seminars and just all round making life less happy. 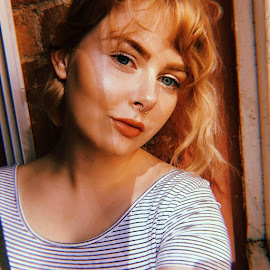 I've decided my happiness does ever so slightly depend on how long the sun is out for and having the ability to just go outside and not feel like I should be inside sleeping. I'm very happy that at least December has the promise of Christmas along with the bad weather. Contrary to everything I seem to dislike about this time of year I think clothes wise it is my absolute favourite. 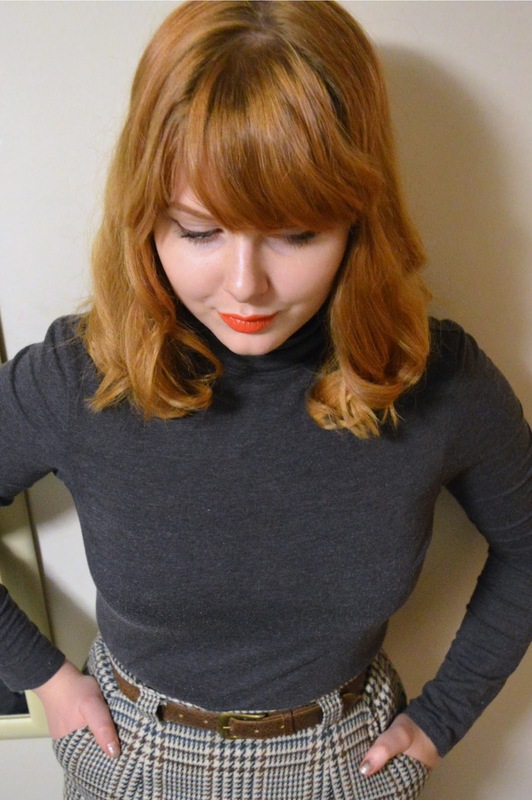 It's time for super cosy tights and big knits and hot chocolates and a thousand blankets (both hot chocolate and blankets count as clothing I swear) and I couldn't be happier in any summer outfit than I could in a turtle neck and a gorgeous vintage skirt so that is what I wore and I felt fab. 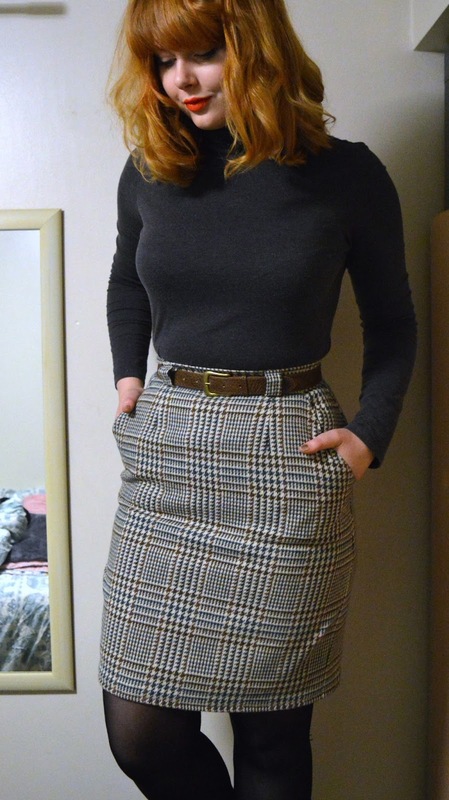 Though I may have a bit of chub I adore how this skirt shows off my waist, my waist is possibly one of my favourite features about myself but due to the massive size difference between my waist and hips finding clothes that I can get on over my hips but are small enough on my waist is near impossible. 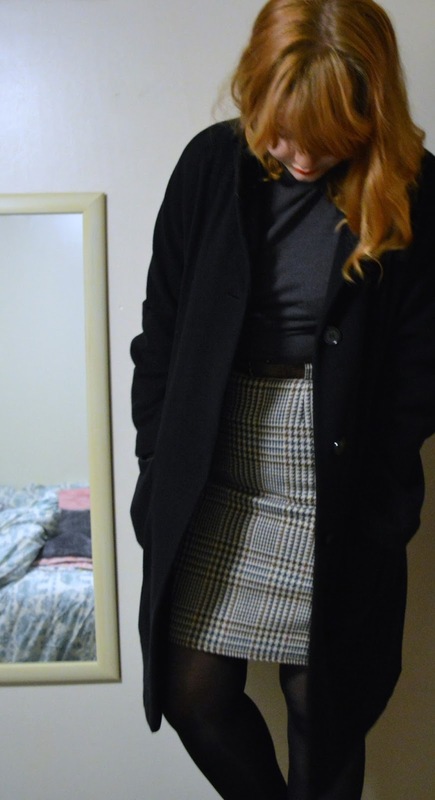 My mum ever so kindly got me this skirt in a charity shop and turned it up to the perfect length on me and I am in love with it, it is the perfect winter skirt and I think will look incredible teamed with so many different coloured tops and cardigans and I'm excited to wear it more. 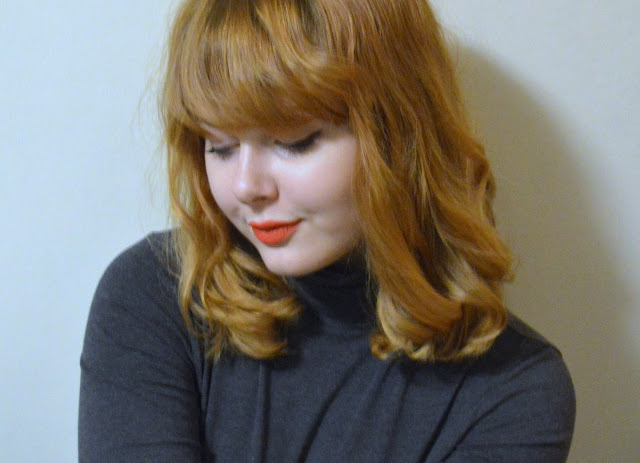 I am sorry that these photos are once again just in my room (this time at uni) but if you live in the UK you will be aware of the ridiculous amount of rain we have been getting pretty much everywhere and the wind broke my umbrella so photos anywhere else were definitely not going to happen! Your description of November is exactly the way I was feeling about this month. Though I must say I'm kind of glad it's over, because besides the Spring, the holiday season is my favorite part of the year. I am exactly the same! Christmas and Spring are my prime time!! You look like Emma Stone so much) I like it) I like how your hair looks with that bangs and red color. Fits you very much. I think you will rock the uni with such outfit. By the way, every student know how hard is sometimes to do all the assigned works at a study. In this case - HitTheGrade will help you so much. You can purchase any kind of paperial works there and be sure that you will get the perfect quality work.